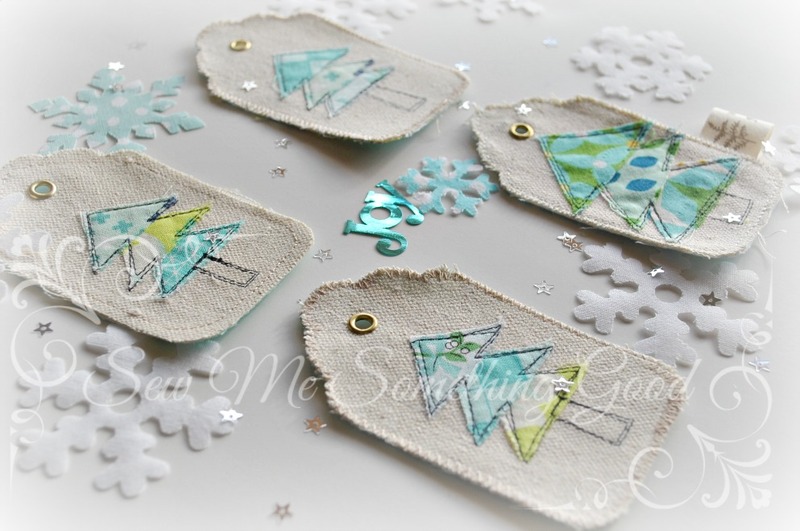 Looking for another easy gift tag idea using repurposed wool? 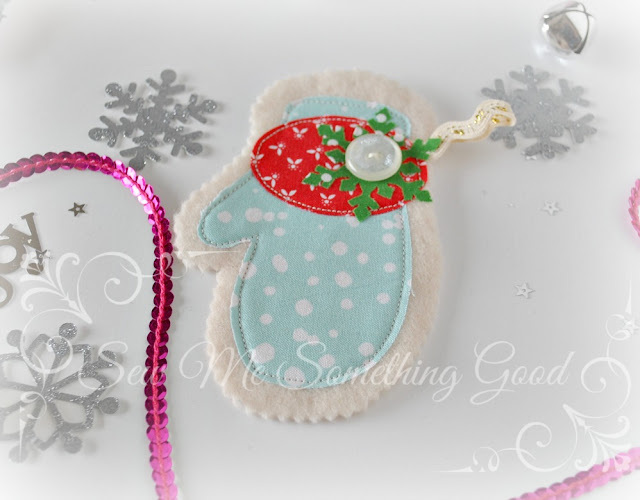 How about a sweet mitten tag? The felt used in this tag was once a sweater. Fulled wool is a wonderful material for crafting! Have you ever mistakenly put a woolen garment into the washing machine for a hot water wash? Or thought you could safely toss a wet woolen garment into the dryer to avoid laying it out to dry? Ooops. While the results likely meant you could no longer wear the garment, there is no need to toss it out! Fulled wool (the result of throwing a wool sweater in the washing machine with hot water and a touch of soap ;o) is a lovely material to craft with. 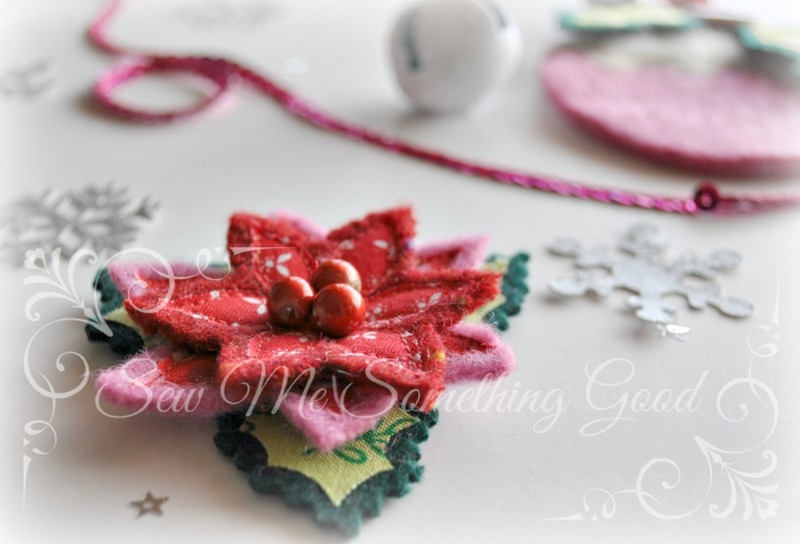 No fraying edges to finish! This poinsettia three dimensional tag was made from bonding quilting cottons to scraps of fulled wool (felt). Two sweaters and a dress coat - provided the scraps of fulled wool needed to make this tag. This past weekend, I took part in a local event to inspire people to give handmade this holiday season. I had a table set up with examples of gift tags I made from repurposed materials and I provided a make-and-take craft. 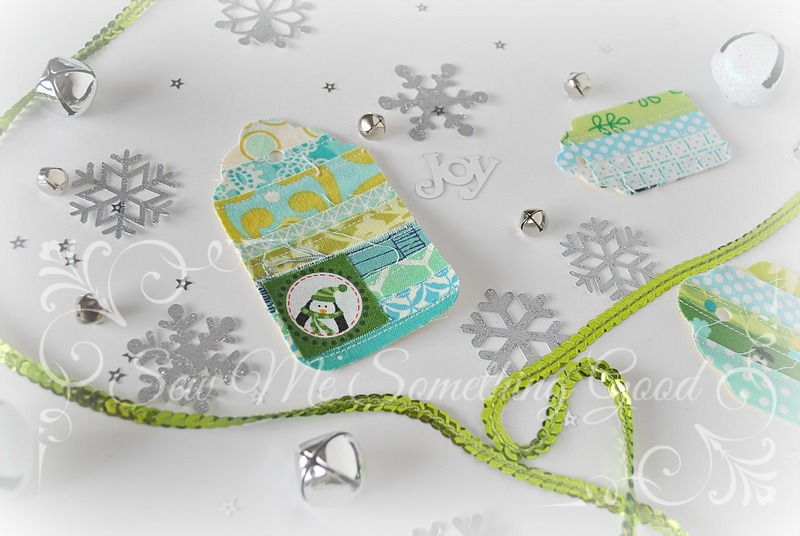 I thought I would share some of my gift tag ideas on my blog for you to enjoy and maybe find inspiration.